Like it or not, Netflix has revolutionized entertainment forever. They have given a host of artists a new outlet to tell their stories upon and I will be interested to see how Netflix, Amazon, HULU and the other streaming services continue to change the entertainment scene. You can take your pick of your favorite Netflix original show, because there are already tons of them. I follow "House of Cards," "BoJack Horsemen," "Stranger Things," "Trailer Park Boys," "Hemlock Grove," "F is for Family," "Master of None," any and all of their Marvel shows. Even with all of those options that I continue to watch and love each year, I feel like when I surf through Netflix originals, I am constantly behind on potentially great shows. There are movies have been good so far too, and their documentaries. I am very much looking forward to Will Smith's "Bright" later this year. Some big news dropped today however. Netflix dropped $105 million on an upcoming Martin Scorsese movie deal. Martin Scorsese is returning to crime drama, and he's bringing the big guns. Which big guns to you ask? 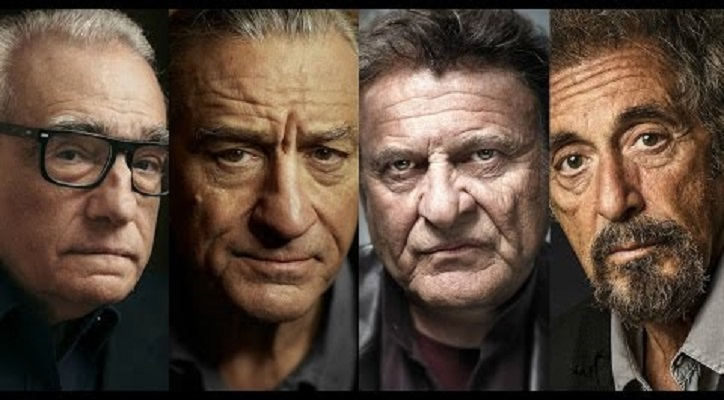 Only Robert De Niro, Al Pacino, Harvey Keitel and Joe Friggin Pesci. Those big guns. All four of those guys returning to crime drama under the watchful eye of Martin Scorsese? The idea along nearly gave me a heart attack of glee. The film is titled "The Irishman" its about a real Irish hitman for the mob named Frank Sheeran, who worked primarily for well-known mob leader Jimmy Hoffa. Apparently, Sheeran will be played by De Niro and Hoffa will be played by Pacino. No word yet on who Keitel and Pesci will be playing. The release it aiming for 2019. But that's way too late. I need this movie in my life now. I can't believe something this high-profile is hitting Netflix and it just goes to show how they are really changing the game. I am wildly curious to see these next few years play out for them and how they continue to change the game. As for right now, keep an eye out for "The Irishman."